Bargain Hunter: Where Are London's Cheapest Homes? Jonn Bargain Hunter: Where Are London's Cheapest Homes? 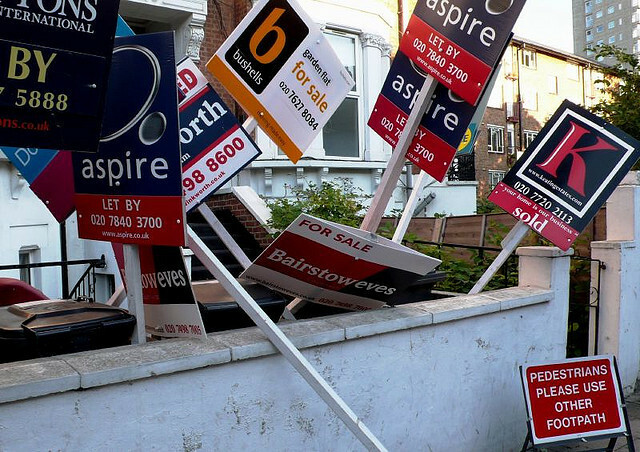 The job market's collapsed, the middle’s getting squeezed, and the economy's as flat as a pancake that's been through a mangle – yet London’s house prices remain buoyant. Five years into something that looks a lot like a depression, a medium-sized shoebox in the right part of zone 2 can still go for as much as a quarter of a million quid. There's been plenty of excitable commentary about this (mostly from columnists, we'd wager, who already own their own homes). But what can you get if you're after a bargain? If location's no object, and you desire nothing more exciting than four walls and a ceiling to call your own, then just how cheaply can you buy a London home? Helpfully enough, property website Zoopla is on hand to tell us. It features a whizzy little app which allows you to draw a line on the map around the area in which you hope to live. To help us identify London's cheapest homes, we drew a line around the M25*, and asked the site to flag up every property currently on the market for less than £100,000. Our first attempt at this experiment brought up rather a lot of garages, commercial properties and empty plots of land, and included an Indian takeaway optimistically describing itself as a "one bedroom terraced house". So, in an attempt to tighten the net somewhat, we tried again, this time specifying that nothing with fewer beds than a studio flat would do. Even then we had to go through and manually discount a depressingly large number of part ownership schemes. Once we'd been through this rather tortuous process, though, we were still left with a few options. ..."the park home": to you, me and the British law, that's a mobile home, but without visible wheels and permanently occupying a plot of land on a private estate. These, too, can be quite a bargain: here's one for £30k in Watford; here's another for £45k in Elstree. But sadly, this FAQ on the subject tells us, "the majority of park home parks are specially for older or retired residents" – few of whom, we're guessing, count themselves among the cash strapped first-time buyer demographic. So you don't want a boat. You don't want a caravan with delusions of grandeur. What you want is some real bricks and mortar. What are your options? Our Zoopla search did bring up a handful of properties listed at under £80k. The trick to finding one seems to be to look to the eastern fringes of London, and not to be too fussy about location. The owners of this studio flat in Erith, for example, are looking for offers over £60k. The building backs onto an industrial estate, and it's a bit on the small side, but otherwise doesn't look bad. Just over the river in Purfleet there's a first floor studio apartment on for £68k. For a little bit more than that you can even find some flats with a London postcode: £70k for a one-bed in Abbey Wood; the same price for this studio in an former council block in Woolwich. The descriptions of many of these flats have something in common – to wit, the fact that a tenant is already living in them. That flat in Purfleet is apparently "achieving £495 per calendar month". Other blurbs talk extensively about what a wonderful investment opportunity this property is. At this end of the market, estate agents' focus on the buy-to-let investor is very, very obvious. Just out of morbid fascination, we thought we'd see what was happening at the top end of the market, too. As far as we can tell, the most expensive property currently up for grabs in London is this five-bed apartment taking up an entire floor of the plush One Hyde Park development in Knightsbridge. It’s yours for a mere £68m. For those keeping score, that's approximately 1,133 studios in Erith. *Yes we know this includes areas not technically in Greater London, but it's as good a boundary for the city as any. And anyway, you try spending an hour trying to draw the GLA's border on a map and then pressing the wrong button and losing the whole thing, and see how inclined you are to start all over again.